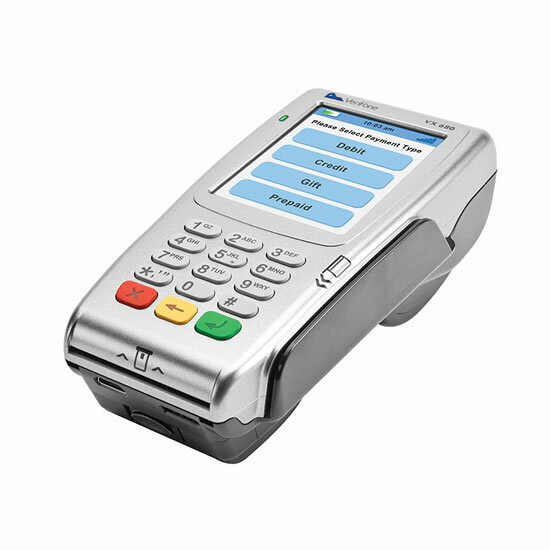 Verifone'sVx 520 is a reliable countertop payment processing device built to last. It handles encryption, decryption and processing at the highest speeds due to its powerful processor and expandable memory. The Vx 520's Integrated NFC capabilities support alternative payments in addition to value-added applications including loyalty and gift cards. Full range of connectivity options including dial up and Ethernet. An optional battery that allows you to accept payment with the VX 520 anywhere. Designed to keep your countertop tidy and free of excess clutter. Operates on the advanced VX Evolution platform. End-to-end encryption with VeriShield Protect (maximizes your protection against fraud and misuse). Quick-release, transparent paper door allowing you to load paper quickly and efficiently. 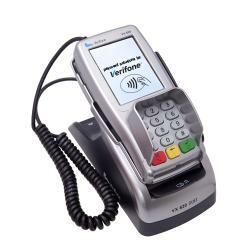 Verifone'sVx 680 is a small, portable and wireless handheld device allowing merchants to accept payments anywhere they go. It is ideal for merchants who accept payments in multiple locations including but not limited to delivery services, trade show vendors, restaurant pay-at-the-table service providers. 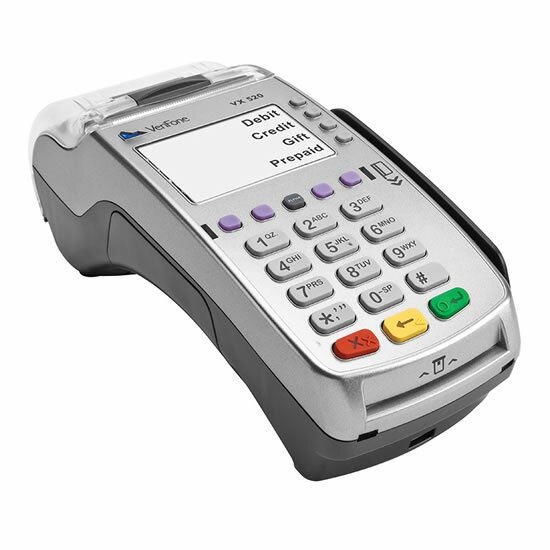 With the Vx 680, you can now process on-the-spot transactions with minimal consumer waiting time. 3.5" touch display of vibrant color, operating on the VX Evolution platform. HSPA+ 3G, making it one of the fastest portable, handheld payment devices. Increased speed allows merchants to download apps and software upgrades quickly. Ability to download colorful graphics, pictures and videos quickly onto the POS display, enhancing the user experience. Capabilities to add GPS that allows you to track your fleet of devices in the field and or place territory limitations. Verifone's VX 820 DUET is a dual-user, countertop solution design to meet the needs of both the merchants and their customers. Merchants can quickly and securely accept multiple forms of payment including credit, debit, EMV and NFC/contactless. Consumers can now process payments using a large, bright-color touch screen display. 3.5" color touch display with a large, user-friendly backlit keypad. Expandable memory that allows you to support a wide range of applications. Secure payment transactions throughVeriShield Total Protect (end to end encryption of data transactions). Compact base designed to securely cradles the PIN pad. Includes a built-in, thermal printer.